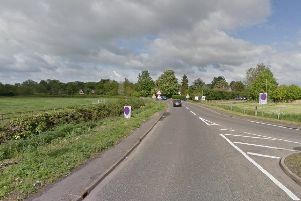 A crash, described by police as ‘very serious’ has closed the A15 in Lincolnshire this afternoon, Wednesday October 11. The A15 at Rippingale is currently closed due to a very serious collision that happened at 2pm. Diversions have been put in place at Osbournby. Traffic is very heavy in the area and has been all day due to the closure of the A1 following a fatal collision this morning.